Florence airport- Peretola, officially known as Amerigo Vespucci Airport, is the international airport of Florence, serving mainly as seasonal airport with some flight connections to other larger European cities during the entire year. The airport is located only 4 km northwest of Florence city center. It is the second largest international airport in Tuscany (after Pisa) and in 2017 counted just over 2.5 million passengers. Travelling to and from the airport is easy, due to its vicinity, but there aren’t many options to choose from, since it is a relatively minor airport. 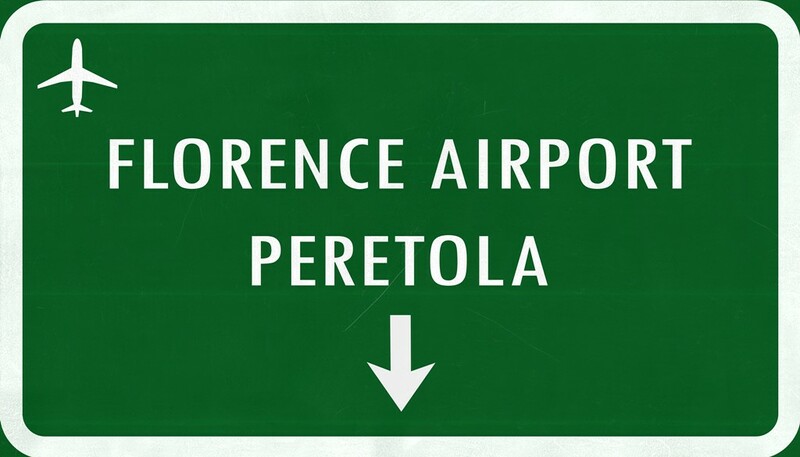 Airport shuttle: There is an organized shuttle service from Florence airport- Peretola to the Santa Maria Novella railway station in downtown Florence. Buses go every day, from 05:30 to 20:30 (every 30 minutes) then every 60 minutes until 00:30. One-way ticket costs 6 euros and can be purchased from the driver in cash, directly on the bus. Return tickets are also available, at the price of 10 euros, but they can be purchased only at Busitalia SITA bus station (near SMN railway station) or at the newspaper stands (Tabacchi), even at the airport. Transfer: To reach your accommodation in Florence, or to go to some other city, the most hassle-free way is to book a door-to-door transfer. You can do that online. Transfer companies will send a professional driver who will wait for you in the arrivals area with a name sign, and monitor your flight arrival to know if your plane is late. Taxi services – Taxi is a relatively inexpensive means of transport in Florence area. The ride from the airport has a fixed price of 20 euros plus the 2 euro supplement. The extra or bulky baggage can be charged 1 euro. Some small charges apply when ordering a taxi at night or during national holidays. Taxis are located in front of the terminal, at the end of the terminal building. Renting a car at Florence airport – there are several car rental companies at Florence Airport, including Sixt, Avis, Budget, Europcar, etc. All car rental offices are located at “Via Palagio degli Spini”, reachable by a free shuttle bus from the airport. The bus leaves every 20 minutes from the short-term car park just outside the terminal building. You can compare the prices on the following link, save time and book online. Renting a bus at Florence airport – if you are a large group arriving to the airport, you might consider renting a bus prior to your arrival. It is a good option if you want to explore the region (Tuscany) or to visit some other towns. Book your bus in advance, so that you can arrange the pick-up locations at the airport, usually a bus company can advise you on that part. A: If you arrive after 00:30, you should consider taking a taxi or pre-order a transfer. They are available 24/7. A: Yes, there are several hotels near the airport, at just 1.5 km distance. But since the airport is only 4 km away from the city center, you don’t have to trouble yourself. The first airport shuttle from the city center is at 5:00 and if you need a transport earlier than that, you can take a taxi or book a transfer through your hotel. Q: I would like to visit Florence in between flights. Is that possible? A: Yes, the airport bus leaves every 30 minutes from the terminal, and since the airport is close to the center, you will be in downtown Florence in slightly over 20 minutes. You can use the luggage deposit at the SMN railway station. Luggage storage is opened every day from 06:00 to 23:00 and it costs €6 (the first 5 hours). Every additional hour is charged €0.90. To be prepared and make the best use of your time, you can read our article on 24 hours in Florence! Q: I am continuing my journey outside Florence. Are there any direct lines to other destinations? A: Yes, there is a shuttle line to Pisa Airport (stops in Prato, Pistoia and Montecatini). The bus leaves from the bus stop in front of the terminal building. To go to some other cities in Tuscany (e.g. Siena, Lucca, San Gimignano) or further to Cinque Terre, you have to reach the main bus station in Florence.